That buzz you hear might just be coming from our great county seat of Danville, Indiana, where a new Hendricks County establishment is already making a name for itself less than a month into its existence. 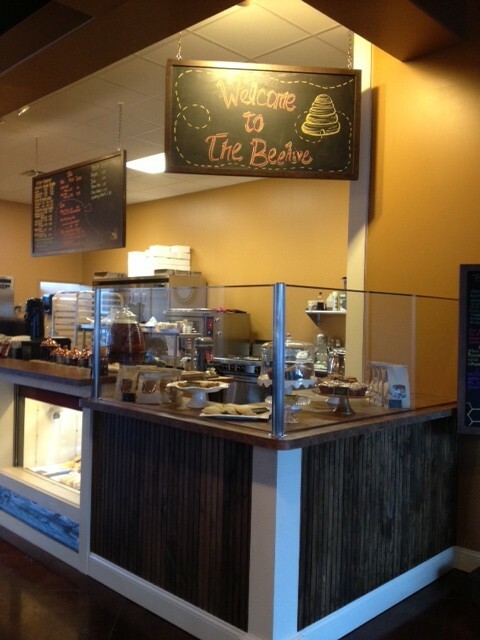 The Beehive, a market and cafe in one, opened during the holidays in the heart of Danville just east of the Hendricks County Courthouse Square in a new strip mall that also houses Pizza Paradise. Beehive owner, Betsy Bassett, said her concept began when she was just 6 years old and her family moved out into the country near Rockville, Indiana, and had bee hives. She said at that young age, she began to learn about natural sweeteners and how much better they were. She also dreamed of someday becoming a business owner. While living in Bloomington where she attended college at Indiana University, Betsy&apos;s love of local food really began to flourish. She credits the great local farmers&apos; markets and the wonderful restaurants there for pushing her to pursue her dream that ultimately became the Beehive. It&apos;s clear upon entering this cafe, that Betsy has a true passion for what she is doing. The Beehive is beautifully decorated in a relaxed way. A cafe counter proudly displays some of Betsy&apos;s homemade bakery items as well as her array of soups and sandwich choices. 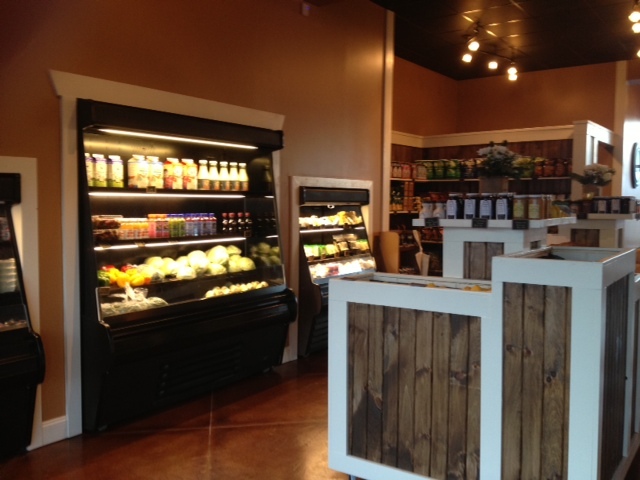 The other side of the store features a wide array of local grocery items. Nothing has been forgotten. Upon my first (and I can guarantee not my last) visit to the Beehive, I ordered what Betsy claims to be their most popular drink, the Nutella Latte. This drink was amazing, and it was handcrafted by the Beehive. All of the syrups used in the Beehive coffees are handmade. I mean seriously, does it really get any better than this? I&apos;m always on the search for the best cup of coffee I can find. In fact, I have been known to drive an hour or more to head to one of my favorite coffee shops from my college days. Well, the Beehive now ranks right up there with my favorites! As I sipped my delicious latte, I made my way around the rest of the market to check out all they had. Betsy had an assortment of homemade soups to choose from (fan favorites are: lasagna soup & white bean chicken chili), fresh salads and sandwiches and some homemade bakery items. She also features some frozen yogurt! The back of the Beehive features a wide variety of local food products. There is a great assortment ranging from fresh produce, local honey, syrups, spices and much more! Betsy has plans for the local market to grow with the seasons and as the demand increases. I truly loved everything about this place! From the feel and the great cup of coffee to the focus on locally grown food products all the way to the owner! It is so exciting to see a young person (not to mention a female) take a dream she is passionate about and make it a reality! So why not plan your next lunch meeting, girls night or date night at the Beehive. 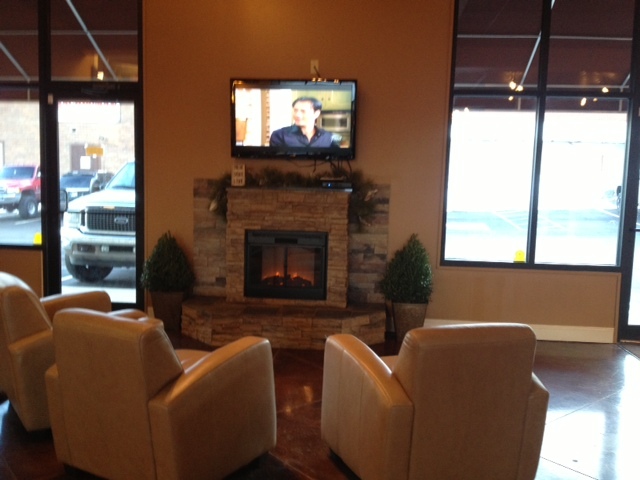 Offering free wi-fi, convenient hours: 7 a.m.-9 p.m., and comfortable seating, the Beehive is the perfect place to just hang out. Be sure to like them on their Facebook page to stay up to date with the menu of the day as well as some fun events, and be sure to head out at 7:30 p.m., Jan. 26 to hear live music by local musician Brianna Caprice! Ericka was raised in Hendricks County and has enjoyed seeing the county grow to what it is today! Ericka now enjoys raising her own family here. Join her as she finds fun, family- & budget-friendly activities.